A BUBBLING CAULDRON: WTF?! 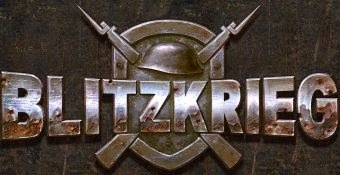 Blitzkrieg At Senior Center! WTF?! Blitzkrieg At Senior Center! AGAIN, WHERE IS THE AUTHORITY? You probably read my post about the decisions the Costa Mesa City Council made regarding the future of the Costa Mesa Senior Corporation's occupancy of the Senior Center building on West 19th Street. In that entry I wondered where the City gets the authority to take over the OPERATIONS of the Center from the Senior Center Board. The contract City Attorney, Tom Duarte, had no response when I asked him that question. Earlier in the week Assistant CEO Tammy Letourneau told me she believed they had the authority, but didn't give me a reference that bestowed it upon the city. Then, this morning - as outlined in Hannah Fry's article in the Daily Pilot, HERE - Letourneau led an entourage of city staffers into the Senior Center and took over the place! They waltzed in, - unannounced - rearranged furniture and apparently began celebrating the new regime! For those of you renters out there, put yourselves in the place of the Senior Center Board and staff. If your landlord gives you official notice to vacate in, say, 90 days, you're going to assume that you will be able to continue to peacefully live in your place until that departure date arrives. This situation is as though your landlord gives you notice, then the next morning shows up with a crew to begin painting, replacing furniture and showing your place to potential new tenants! As I read Fry's article one paragraph caught my eye. It reads as follows, "We're not here to step on anyone's toes," Letourneau said Wednesday morning before entering the building. "We're just here to be helpful." Really? Well, it seems to me that not only did they step on toes, they stomped on them clear up to the arch! Once again, it is not clear where the members of the City staff get the authority to show up at the privately-operated Senior Center and just take over. Worse, last night the President of the Senior Center Board, Judy Lindsay, sent an email to Letourneau specifically asking her to NOT have any city staff show up at the Senior Center until AFTER proper notice had been received as prescribed in the current agreement so the Board could review it and the management could gather the staff to advise them of what the future holds. That communication was obviously and arrogantly ignored. The handwriting is clearly on the wall. Actually, it's more like graffiti. Lindsay and her staff now know their days on West 19th Street are numbered and that the City fully intends to run a Senior Center without them. However, the way the staff has steamrollered them in this process is unconscionable. Last night, during the brief meeting when the decisions were made, several members of the staff and City Council professed to only want what is right for the seniors. Somehow in all that rhetoric they managed to forget that the Senior Corporation Board is comprised 100% of Seniors - unpaid volunteers who have served on this board in many cases for years! Letourneau, during her staff presentation and while answering questions, stated emphatically that they "only wanted to help". That may be true, but their actions tell us their idea of "helping" is to shove the staff and management of the Senior Center out of the way and takeover immediately, completely ignoring the terms of the current valid agreement and the documents the council approved less than a day earlier. We can only presume this behavior is not only condoned, but encouraged, by CEO Tom Hatch and the City Council. This kind of heavy-handed behavior is yet another example of how the management of this city has become more like a dictatorship than a government of representatives elected by the people. Maybe this is just another example of Mayor Righeimer's view of the "normal course of business". Shame on them. Whoa! I drove by the Senior Center this morning, on my way to Smart & Final, and wondered what was happening over there. It appeared that the employees where all at the back entrance to the center. This is no way to conduct business, what a shame for those employees, Costa Mesa and it's Senior Citizens. Today the Senior Center, tomorrow the motels and trailer parks with the highest land values. Eventually they'll get to places like certain schools so the land can be sold to developer-contributers. Riggy and the Newport Bosses will laugh at the poor serfs in Costa Mesa. Stevie will sit on his football and tell you it's moving forward. Guess they are gonna get their new library after all - probably combine it with the Seniors by giving them a room to work from. Just another land grab before Riggy gets the boot. We are probably gonna see a lot more of this stuff before Riggy and gang is gone. Considering they don't know how to run the city or throw a party, how are they going to be able to run this? I take comfort knowing that if Eric Cantor can lose, including those who voted just to vote against him, any incumbent can. I think you know who I'm talking about here. A lawsuit would cost CMSC as well, city breaking all kinds of "rules", CEOs office just doesn't give a rip!! They are full of excuses why they feel they have this authority. They have us between a rock and a hard spot. Commissioner Robert Dickson said some Shalimar property owners want the barriers removed so the community "can move forward." "I think it's time to move forward," said Councilman Gary Monahan, adding that he had "heard enough" of the problems facing the center. "Forward movement is turning rundown apartments, junkyards and vacant gas stations into quality housing communities that are selling fast and revitalizing portions of the long-neglected Westside." "Forward movement isn't for everyone. I've heard complaints about each of the issues I've mentioned. For instance, a few people rose in defense of the indefensible Motor Inn. Others spoke out against the library of our dreams. Some complained that we are investing too much in infrastructure." Our new mantra will be "Moving Forward." We need to Move Forward with more development before Jimbo loses the election. We need to Move Forward before fines and more are assessed over that special trail. We need to Move Forward to get the new stadium into Fairview Park. We need to Move Forward before the fools figure out just how much they DIDN'T get from the money WE got from the 60th. Get Fisler to hold a special Moving Forward open house at the Senior Center. Put Fitzy in charge of the booze. He's to tell seniors we are Moving Forward. Have Popp stand guard in front of the Center, but tell him NOT to Move Forward, just remain in place. Jimbo, you sit down and draw up your Moving Forward exit routes for after the election: Harbor to Move Forward out of the city northbound, or Adams to Move Forward out of the city westbound. Pick one, then get the flock out of town. Is this loving treatment of our seniors! I think not! Someone is speaking with a forked tongue! Shameful, just shameful. 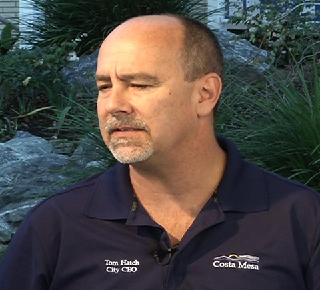 A sad day for Costa Mesa and those volunteer seniors and staff being treated that way. They said they were going to work side by side for the transition! Sounding like big brother more and more around here! Some classes perhaps about how you transition. Lay back and observe is the key! A shame that city staff is being that way when so many were treated the same with layoff notices. How quickly we forget! Gay, looking at that photo in the Pilot, it's very likely that none of the city staff attending the Center Wednesday were on the payroll three years ago when the layoff notices were issued. Certainly Letourneau - in the photo - was not. Point taken, you are probably right! Just fed up hearing one thing and then finding out it is so much different! Thank you for all you do, as always a voice of reason! I take what people tell me as true until there is a reason to change my mind. I take the heat for my own actions, and can live with that.. There should have been an infusion of cash on the books of the Senior Center, until the legal process was completed, and the City would assume control on X date…. It took a lot of backdoor planning to execute this operation…My 200 senior friends need to smile more, not less…I applaud taking care of our older generations.. This illegal coup d'état / Forcible Detainer is chilling, and the exact reason we moved out of Orange County last November…. I have my own word for what is going on here….Gentricide…. The mayor is so concerned about our "branding" are we a package of ding dongs or a city with a heart and soul. This council is incredibly rude to their own members, namely Councilwomen Leese and Genis, so members of the community should not expect any more out of this group of bullying thugs. I was shocked when Monahan spoke in defense of the Colleen annex but then his children Have all gone to or go to Kaiser, with a lot of these children from Colleen Annex. Riggy initially stated these people are not "special" and then tentatively agreed to up minimum size of lots and put it over to another date. The Harbor/Hamilton fiasco project is insane, go see layout in person, bump to bumper parking on all streets surrounding proposed units. The noise is totally industrial (and loud) eight of these units are on the propert line and have to sign noise waivers. OMG Another size units are on property line of Rudy Garage, more waivers. This is our brand noise waivers? IT'S FISH FRY TIME AGAIN!